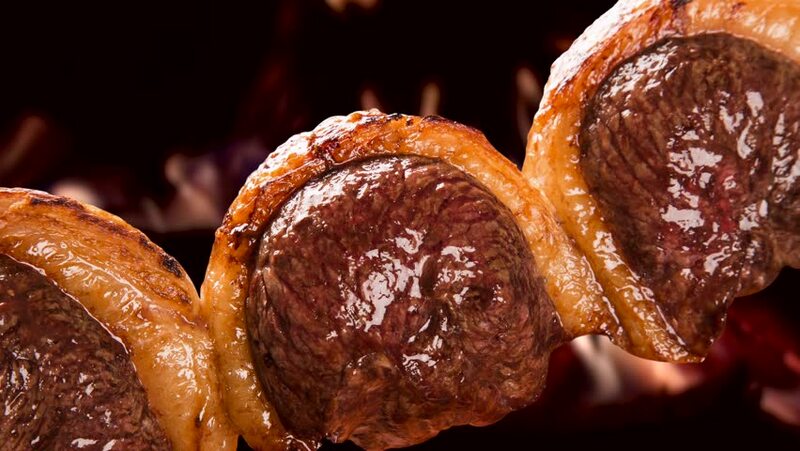 Picanha, traditional Brazilian barbecue with fire background. 4k00:13Pouring sauce on veal fillet. Originally shot on 4K raw, using the Blackmagic Produktion Camera.